Sunlight, along with water and air, helps keep us alive. It is a beautiful thing and it helps the trees and flowers grow. It provides warmth to our bodies and lifts our mood. Without the sun, there would be no life on the planet and everything would simply perish due to extreme cold. But the exposure to anything, more than required can be harmful, even fatal and that stands true for sunlight too. Sunlight comprises a variety of rays both good and bad, and the ultraviolet rays are one of the bad ones that come along with the package. Prolonged exposure to UV rays can have adverse effects on our body and eyes. UV rays are known to cause many eye problems such as macular degeneration, cataracts, cancerous growths on the eye and eyelids and a lot more other diseases. Most problems caused by UV rays appear as you grow older. It is also possible to get a painful sunburn to the eyes, photokeratitis, only within a few hours of exposure to bright light. You must never put down your guard and if you require vision correction, always wear your RX Safety Glasses when stepping into the sun. Construction workers, salespeople, and farmers are the ones exposed to sunlight more often than a normal person does on a daily basis. 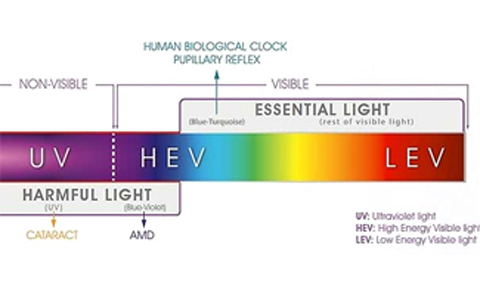 New research showed that sunlight also contains a high energy visible (HEV) rays also called blue light. It has the potential to increase the chances of macular degeneration when you age. People having a deficiency of Vitamin C and other natural oxidants are at a higher risk of damaging their retina. HEV radiation-related diseases are caused by exposure to sunlight without proper protection. The white light we see is actually a composition of seven different colors of light, as in a rainbow. Every light has its properties and the blue light present in it contains high energy volume. To protect the eyes from harmful solar radiation, wearing RX Safety Glasses is a must. Bear in mind, standard lenses are not protective against UV or blue light rays. In order to get complete protection, you must ask your optician to apply a protective coat when making the glasses. Without the protective coat, they are just plain lenses without the ability to block any radiation. Frames with wrap around style are the best because when they cover your eyes completely, they limit the number of rays that reach your eyes. Dress eyewear has open sides and it can allow the rays to reach your eyes even though you are wearing them for protection. When we are young and healthy, we tend to ignore the minor precautions that can help us remain healthy in our older age. Not only is it necessary to care about our body, but eyes are equally important and they should be cared for. Wearing sunglasses having a protective coat to absorb HEV rays and repel UV light can keep the eyes from getting damaged. Wearing protection does not mean you have to look like a geek. 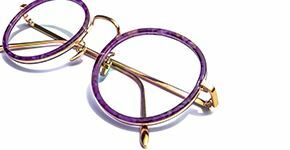 If you have chosen a frame wisely, it can also enhance your appearance and make you look stylish. UVC Rays: Havingwavelengths of 100 – 280 nanometer (NM), these are the most dangerous rays that can fatally damage your eyes and skin. Fortunately, the ozone layer absorbs it completely and we stay safe. But this also raises an alarm. With the rapid depletion of the ozone layer, our future generation is at great risk of being exposed to it someday. UVB Rays: They have a slightly longer wavelength 280 – 315 nm hence have lower energy. The ozone layer partially filters them so still a few manage to reach the earth. In low doses, exposure to UVB rays creates a pigment on the skin causing it to darken. This is why we get a suntan. If the skin absorbs the rays in a higher dose, we get a skin burn and in some cases, also develop skin cancer. They are also responsible to cause skin discoloration, wrinkles and premature aging of the skin. UVA Rays: These rays are nearly visible and are least harmful to the skin and eyes as compared with the two above. But they can pass through the eyes penetrating the cornea and reach the retina and the lens inside. Overexposure to these rays is known to cause cataracts and macular degeneration in the eyes. 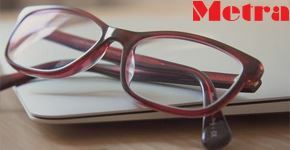 Research has proven a variety of eye-related problems caused by the UV rays and suggests the use of RX Safety Glasses with proper UV reflecting coats. Studies indicate UVB rays cause pingueculae and pterygia which are responsible for corneal problems and can distort vision. They are also unsightly and can affect a person’s physical and mental health because of their appearance. Snow blindness is also caused by these rays and if you are not careful in protecting your eyes from an early age, chances are you might develop severe problems later in your life. As the name explains it, high energy visible radiation, or in simple words, Blue Light is visible. Although these rays have longer wavelengths and carry less energy than UV rays, still, they penetrate the cornea and land inside the retina and the lens. They cause damage inside our eyes and a person who suffers from low blood plasma is at great risk of developing macular degeneration at an accelerated speed. Geographical Location: Studies have revealed people living on or near the equator are exposed the most. The tropical areas receive the maximum light from the sun and they carry the maximum rays. The farther you travel from the equator, the intensity decreases and so does the risk. Altitude: The risk of overexposure to UV rays intensifies as you climb higher. The mountainous areas, although are far away from the equator but still pose a greater threat because of their altitude. Time of Day: The earth’s surface receives the maximum rays when the sun is high up, i.e. from 10 am to 2 pm. It is suggested to wear your RX Safety Glasses when you step outside during these peak times. Geographical Setting: HEV and UV rays are in a better position to harm a person in wide and open spaces. With the presence of highly reflective surfaces such as sand and snow, the intensity doubles especially when reflected from snow. In urban settings with tall buildings, the rays are less likely to harm because most of them are either blocked or reflected by the buildings. Drugs and Medications: Some medicines are known to reduce your guard against UV rays. If you are taking certain medicines such as sulfa drugs, diuretics, tranquilizers, pregnancy pills, and tetracycline, your body’s sensitivity to HEV and UV rays is increased. Thus, you must wear proper sunscreen and also ensure that you wear the RX Safety Glasses whenever you need to go outside. It’s amazing to know that clouds do not hinder in the UV ray’s travel to the earth’s surface. Since they are invisible rays, they pass through the clouds with the least resistance. A person walking on the street in hazy weather is as exposed as walking under the blazing sun. 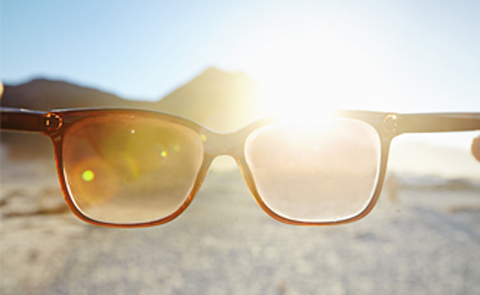 The risk of damaging our eyes from sunlight is cumulative. It means, with every second spent under the sun’s light increases the risk. But this does not mean we should become a vampire and start fearing the sun like it is going to kill us someday. Children have sensitive skin and eyes, and they must be protected. You can’t and must not stop your child from indulging in outdoor activities. It is extremely important for them as it helps them become strong and get used to their surroundings. Kids can’t wear RX Safety Glasses but you can buy them appropriate sunglasses that are quite protective. Teach them to wear them as they play outside, it’s the least you can do to protect your children from the UV rays all around them. 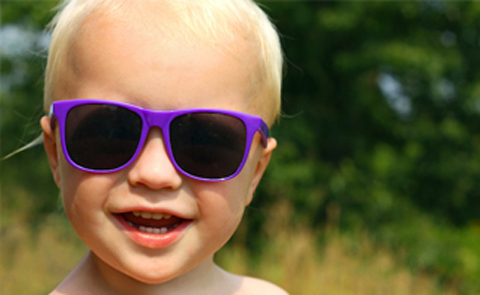 Children’s eyes are more susceptible to being damaged by UV rays on the retina. It is due to the fact that their eyes are clearer than an adult’s, thus the rays can penetrate more freely. Make sure you provide your children with good quality sunglasses. Do not go for the cheap ones that are easily available in a toy shop. They are appealing to a child in terms of shape and colors. 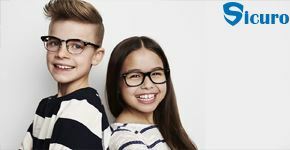 But measuring their performance would make you hate them because of their low-quality lenses that are good for nothing. The cheap material can also disturb the child’s vision and also, those lenses are never coated by UV repellent. There is a slight difference to how sunglasses and protective frames are not the same in terms of shape and performance. Sunglasses are basically made for style and they have the sides open which is a gateway for UV rays to still enter the eyes. 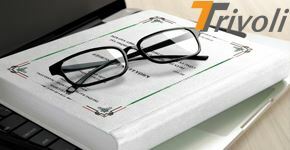 On the other hand, protective frames are designed differently as they serve to protect the eyes from all sorts of danger. Thus, they are sporty and can wrap around the eyes covering them from every angle. 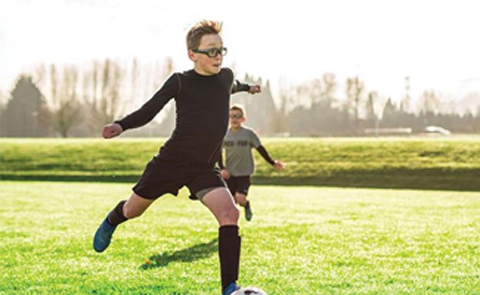 But you can’t look sporty always, so when you don’t need to go meet a client, wear your RX Safety Glasses because they are the best to keep your eyes safe from any unwanted UV ray reaching your retina. Always wear good quality lenses and frames. The basic version of any cheap or expensive lens does not have UV protection coating. No matter how costly it may be, but it never comes as a pre requisite and you have to order it separately. Hence, the sunglasses you purchase form a fashion store may look perfect and beautiful, but they do not have the power to block UV rays. We recommend you purchase the sunglasses you need to form an optician and always inquire if they are properly coated. If not, you can ask him to send it to the lab to get treated, or you can alternatively choose another frame that is already coated. During winter, we mostly ignore the use of sunglasses because we don’t see the sunlight around us as in the case of summer. But as mentioned above, clouds do not act as a shield against UV rays and they reach the earth’s without hindrance just like in summer. Only we assume we aren’t exposed to it which is totally wrong. Summer, winter, spring or fall, in any weather you should not ignore the use of RX Safety Glasses because you have to keep your eyes safe from dirt, flying particles and especially glare from nearby windows, passing cars and all other sorts of things that can hurt your vision. Thus wearing it during winter will still provide you protection so that you roam freely around dangerous places. Just like clothes, glasses also must be chosen according to your requirements. Certainly, the lifestyle of an office worker and a construction worker do not match. Hence, their clothes and their eyewear cannot be the same. When you work in an office in front of a computer, you can do well without suiting up in heavy protective clothing. Whereas, a person who is working on a construction site with heavy machinery busily working all around him, he needs to be suited from head to toe in thick protective clothing. A construction worker is more likely to face physical damage during work rather than the one sitting inside a safely confined office. Nevertheless, both people face threat to their vision because as the sun emits HEV rays, so does a computer screen. But, the number of rays emitted by the mighty sun and a small screen cannot be the same. 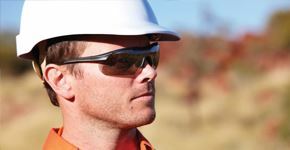 The eyes, however, aren’t designed to block the rays, thus, it is important for both of them to wear RX Safety Glasses. 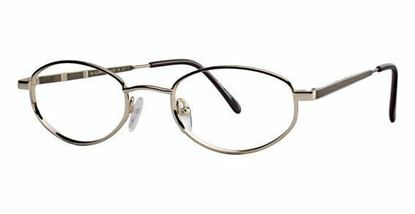 The frame designs can be different as a person who faces flying debris around needs to wear a wraparound frame to cover the eyes completely. 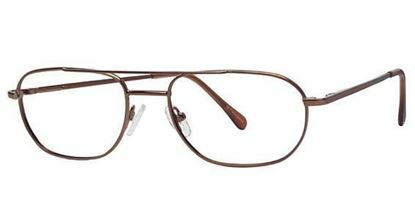 However, the computer operator can wear a frame that is more suited for indoor use, much like a dress eyewear frame. People who wear sunglasses as a fashion or because of their lifestyle should also choose their frames wisely. Most frames look too good to resist but they do not have their lenses coated with UV and HEV protection. 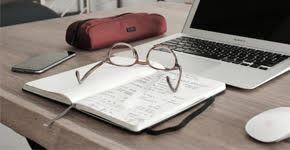 Buying a frame from anywhere than an optician’s website has a risk of not providing you with proper safety. 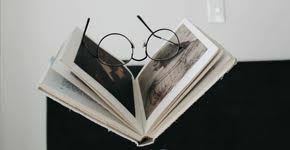 But at the optician’s you can ask him to provide a frame that has comes with the properties of keeping your eyes safe. If you fall in love with a frame that does not have an anti UV shield, you can ask him to send it to the lab and get it treated. Most games are played and trained for out in the field under the sun. Athletes are required to practice for long hours thus, they are exposed to the sun’s radiation for a long time. But considering their lifestyle, they can’t wear regular glasses like that of an office worker. 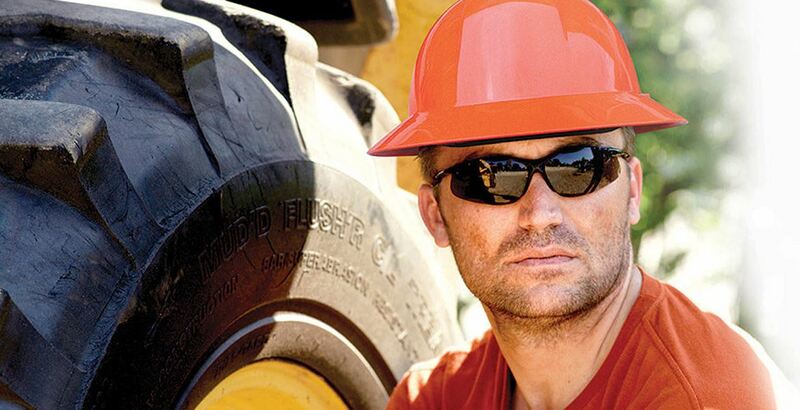 Wearing RX Safety Glasses like a builder also won’t do because they don’t need the extra thickness and weight. Hence, they need the sports glasses that still has the ability to cover maximum skin around the eyes. The lenses, however, can be changed for possessing anti UV and HEV coat. And, if the player needs vision correction, the prescription lenses can be ordered. Every pair of sunglasses or sports glasses does not block 100% of UV rays. 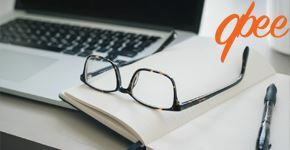 They are only able to block a certain percentage and if you are unsure about the level of protection you are getting from your frame, take them to an optician or your eye doctor to get them tested. 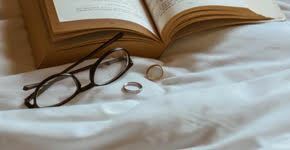 Most of them have specialized instruments, such as spectrophotometers, that allow them to measure the amount of visible and UV rays the lenses can block. 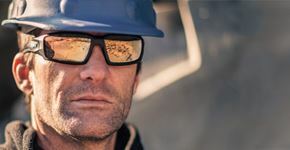 Almost every pair of RX Safety Glasses can block a small amount of HEV rays, but some other tints are known to work as a better shield against it. Some popular tints used for blocking blue light are bronze or reddish brown colors. Remember, even if you are standing under a shade, your eyes are absorbing the harmful radiation from the reflection of buildings and other objects around you. It is better to wear glasses that are coated to repel the rays. Eye protection is even more needed during winter, especially if it snows. Fresh snow has the ability to reflect up to 80% of UV rays. It almost doubles the number of rays that reach your eyes on a normal day. 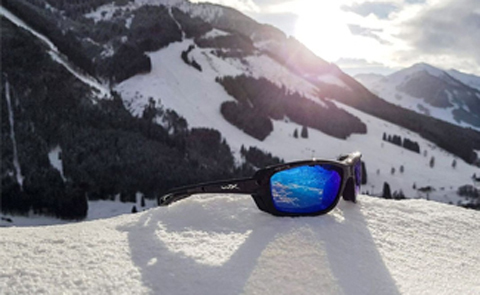 If you are planning to ski or snowboard, remember, do not go out there without wearing proper eyewear to avoid the reflected rays from the snow. If you wear contact lenses and you have ordered them with protection against the sun’s radiation, do not think of it as a complete solution. You still need to cover your eyes with glasses that can reflect the rays and cover your skin. Contact lenses are only protecting your eyes that are beneath it. The rest is open to all sorts of harm. People with dark skin are known to have a natural coat of protection against UV and HEV rays. The pigment present in the skin that turns the skin dark also possesses the ability to absorb the rays and not be harmed much from it. Thus, people with white skin are deprived of this natural gift and they should be more careful about wearing proper protective glasses and sunscreen. But in no way does this mean that people with darker skin tone can never get skin cancer. The eyes of a black person are affected equally by radiation as that of a white person. If you are riding a motorbike or are going skiing, you will need to wear your RX Safety Glasses because your eyes are vulnerable to many threats. When going at high speeds, you don’t even get time to blink to avoid crashing. Keeping your eyes open to the air is damaging because your eyes can dry out causing a burning sensation, or even distort your cornea. What if something falls in your eye? It can go deep because of the force and you might end up in a terrible situation just because you weren’t careful enough.